The Millionaires Gala Annual White Summer Party Presents, “An Evening from Las Vegas Live” | Marbella Marbella – Adelante! The Millionaires’ Annual White Summer Party Presents, “An Evening from Las Vegas Live” Saturday 30th July 2011. “Marbella is a fantastic holiday destination and a great place to live, but we felt that it needed a really top-class music event which would become the centre of the summer social calendar and would promote the area to the rest of the World in a positive light. We hope that by bringing a 22 piece orchestra and 3 top performers over from Las Vegas and holding the event at this stunning private villa that this event will become the “must-attend” event of the season. As well as producing an event to remember, we will also be raising money for the Red Cross’ Japan Tsunami Appeal which is funding important relief work in the areas affected by the recent earthquake and tsunami. We believe that we can have a wonderful evening, whilst making a significant contribution to the relief fund and reminding attendees of the plight of those in Japan at the moment. We will be holding a raffle at the event including two watches from sponsor Chopard, worth over 9,000€. This will be a great opportunity for guests to win these stunning prizes whilst helping others and we hope to raise over 20,000€ for this worthwhile cause.” Caroline Hallett the Organizer. This summer will see the introduction of The Millionaires’ White Summer Party to Marbella, in conjunction with exclusive jewellers Chopard. 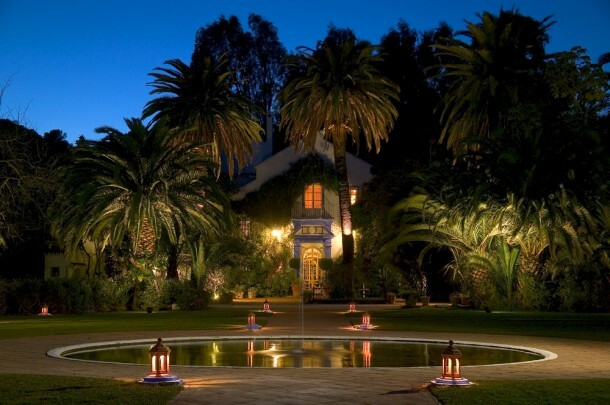 This dusk ‘til dawn event will bring the glamour and music of Las Vegas to Marbella and will take place in the exquisite gardens of the Finca la Concepción, on Saturday 30th July 2011. An Evening from Las Vegas will be pay homage to the glitz, glamour and incredible music of Las Vegas in its heyday. The organizers are flying over three exceptional artists to perform the songs of Shirley Bassey, Frank Sinatra and Barry White. There will be a 22 piece Big Band Orchestra, dancers straight from Vegas and an International DJ for a night full of music and excitement. The event will also be supporting the Red Cross’ Japan Tsunami Appeal by raffling a number of fantastic prizes, including two watches from sponsor Chopard. It will be presented by the charismatic Oscar Horacio of “Marbella Te Quiero”. Tickets can be requested via the website www.millionairessummerparty.com for 120€ per ticket, which will include a reception cocktail of Veuve Clicquot champagne and canapés from Goyo.